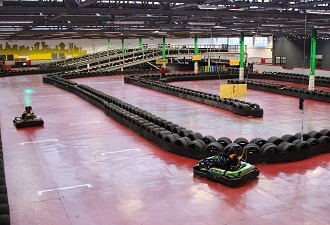 The Experience is home to Scotland’s only indoor electric Go-karting Arena. With an exciting track full of twists and turns and a long elevated flyover, the venue offers a karting experience that will suit all age groups and abilities! The Experience offers a bright, clean, emission free environment and as with all UK circuits you will be provided with a comprehensive safety briefing, helmets, race suits and gloves as well as electronically timed lap print outs. PLEASE NOTE:Balaclavas must be worn for hygiene purposes, these are £2 each. Once purchased it is yours to keep and bring back on return visits. An ideal event for juniors to try out karting - two x ten-minute races with full computer lap print-outs. For a range of non-standard or corporate events for large groups please contact us.